With the thousands of skincare products on the market, it can be difficult to find one that provides the perfect mix of ingredients for your skin type and condition. At SKYN Clinic and Apothecary®, we offer products derived from holistic, natural ingredients that can be mixed and blended to fit your skin’s individual needs. Contact us today at our Suwanee and Duluth locations to schedule an appointment and create a Custom Blended product that is perfectly tailored to your skin. What is Custom Blended Skincare? 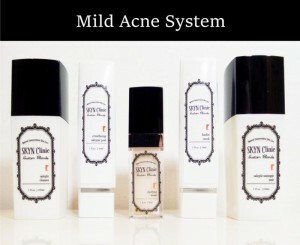 SKYN Custom Blends is a natural cosmeceutical skincare line that is unique to SKYN Clinic and Apothecary®. Unlike over-the-counter skin products, you choose every ingredient that gets mixed and blended into your individual product, ensuring that you will get results. There are five steps to creating a SKYN Custom Blend. The first is choosing which type of product you would like to create – a cleanser, toner, serum, or cream. Next, identify whether your skin type is dry, oily or normal, as this will make your Custom Blend more effective. The third step is choosing three botanical extracts to add to your product and further enhance the health of your skin. There are several to choose from, including pumpkin enzyme, aloe vera, green tea extract, orange peel and rose hip extract. Three biological extracts of your choosing are then added to your Custom Blend, such as collagen, elastin, Royal Bee Jelly, hyaluronic acid, seaweed algae extract, and snake venom. The last step of creating a Custom Blend is choosing a vitamin booster, if desired. Vitamins A and D3, Vitamin B Complex, Vitamin E Acetate, and a Multi-Vitamin Complex of A, D3, F and E are available. What are the Benefits of Custom Blended Skincare? In addition to being completely customized, the individualized products created through our Apothecary ® have multiple benefits in comparison to over the counter products. SKYN Custom Blends are made on the spot, guaranteeing freshness. Fresh ingredients with no added chemical dyes, preservatives, parabens, mineral oils, animal by-products or fragrances. 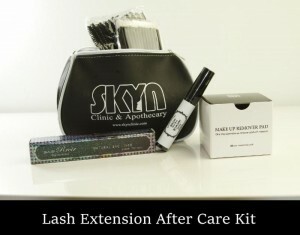 SKYN Custom Blends are not mass produced, so products are not stored for long periods of time and do not lose potency. Each product contains the highest possible level of active ingredients with the lowest practical level of preservatives. With each ingredient hand-picked by you, there are no unnecessary filler ingredients. 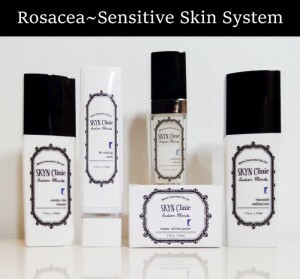 Each component of the product will benefit your skin concerns directly. Studies have shown that Custom Blended Skincare may be as much as 400 percent more effective than conventional products. 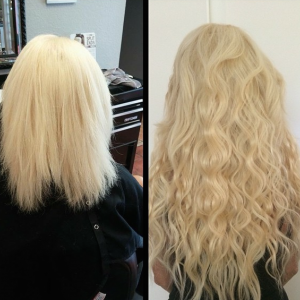 SKYN Custom Blends can either be created at our Suwanee and Duluth locations or online. 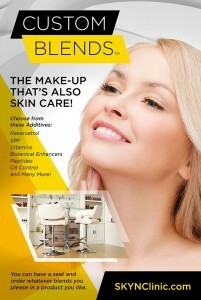 Contact us today to schedule an appointment and discover the benefits of Custom Blended Skincare. Lightens dark spots and tones the skin. SKYN Clinic Custom Blends visibly corrects and reduces the appearance of dark spots, discoloration and signs of sun damage. These formulas are designed for the face but can also treat neck, décolleté, and hands. Is for the skin type that is mostly oily, but has few breakouts. This line helps to balance the skin, providing elasticity, a youthful look, and a healthy skin tone.